Paris 1947. Christian Dior crystallizes the dreams of elegance and femininity of thousands of women. 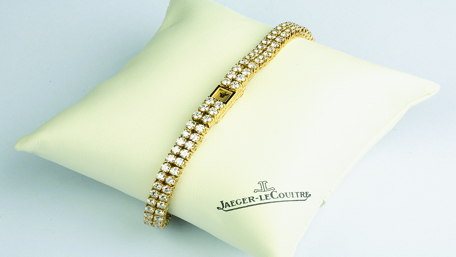 The well-proportioned silhouettes of his first fashion show, called New Look by the American press, revolutionized the world of fashion and redefined the essence of femininity in a spirit of creativity that hasn’t ceased since to animate the House. Paris 1975. 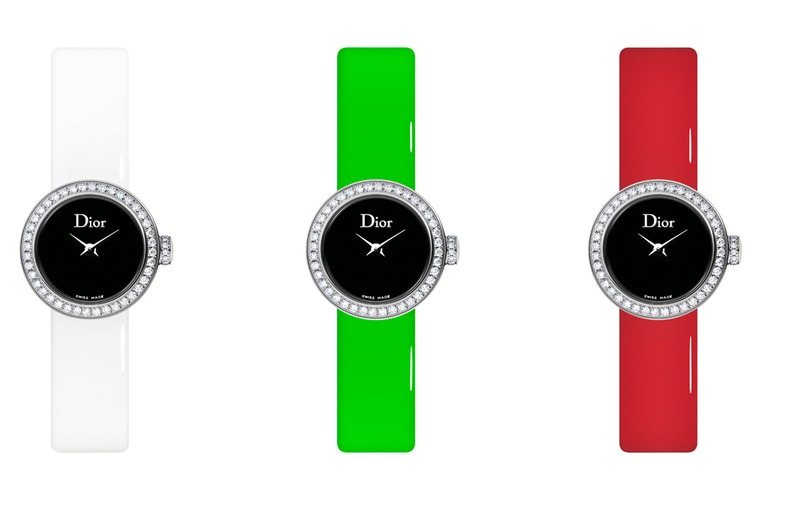 Dior continues his revolution by imagining his own watches. 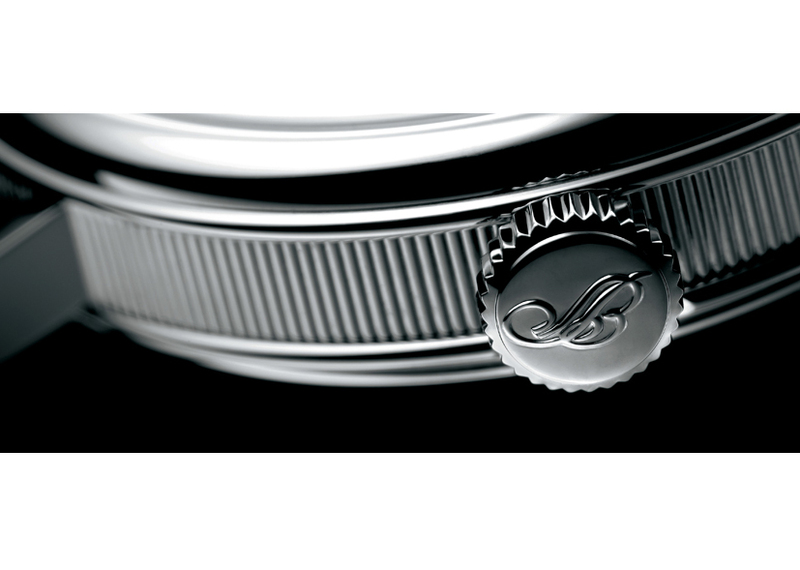 As for making pleats of a skirt, the realization of a Dior watch meets the same accuracy and demands the same love of perfection. 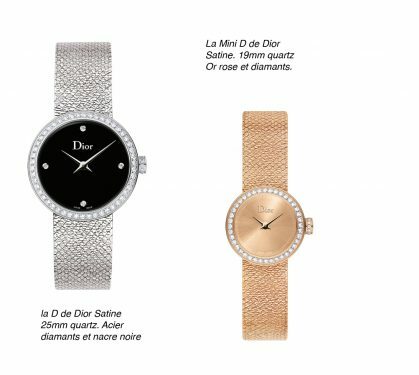 In 2003, five years after inventing the Dior jewelry, artistic director, Victoire de Castellane presents her first watch; La D de Dior, inspired by former male models of the 70’s. 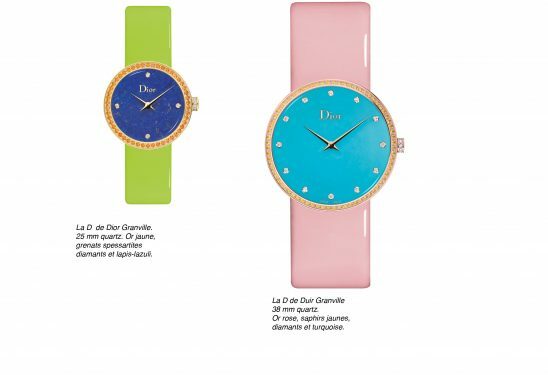 In 2016 Victoire presents the D de Dior Granville, punctuated by joyful associations of hard stones with vivid shades and colorful bracelets to create new and surprising contrasts. 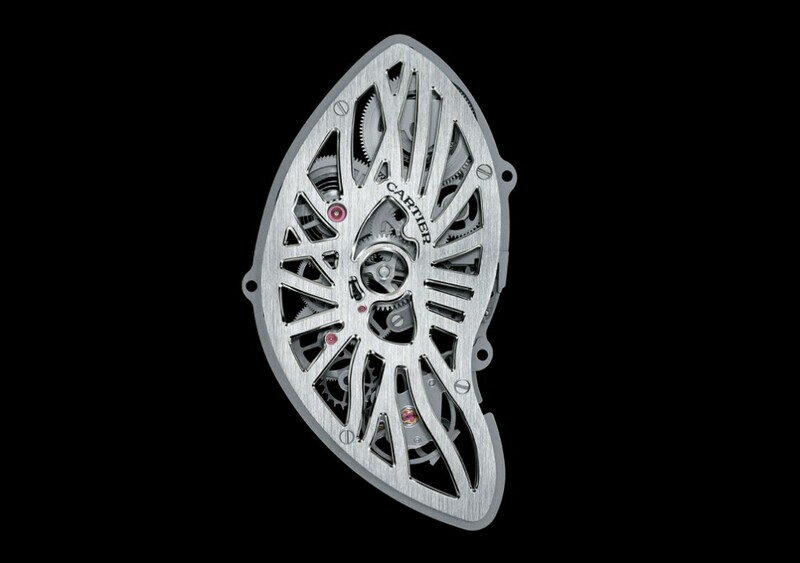 In 2009, Victoire de Castellane imagines La Mini D de Dior. 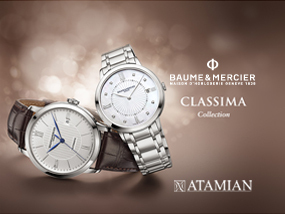 With its nineteen millimeters in diameter only, it is more flirtatious than ever. Over the collections, La D de Dior reinvents itself, but retains its recognizable lines contributing to its iconic status. 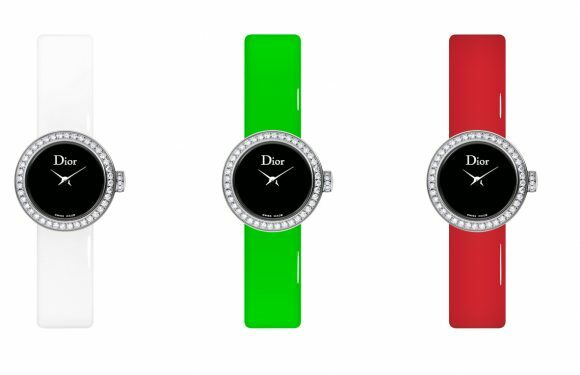 The colorful bracelets of La Mini D de Dior with their three new colors, white, red, or explosive green, enrich this bold colorama.